Good old Hudson University, where your odds of being a victim of some horrific crime are higher than your odds of graduating. It's definitely not a safety school. 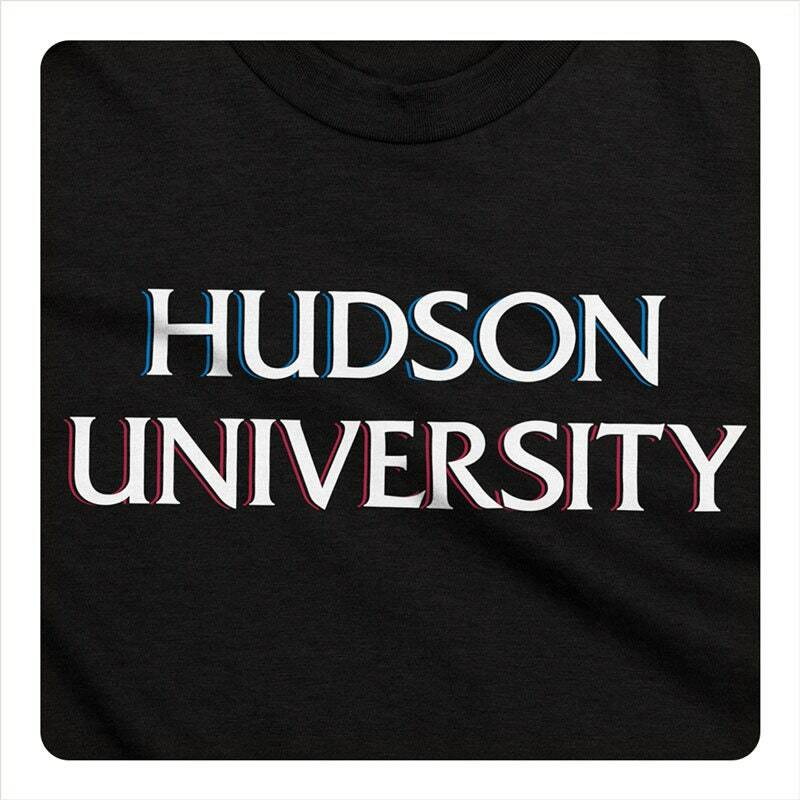 Hudson University T-shirt, available in multiple colors. • This Bella+Canvas 3001 t-shirt is the ideal classic fit, with a modern unisex cut that's flattering for both men and women. • Be sure to consult the size chart in the slideshow above. 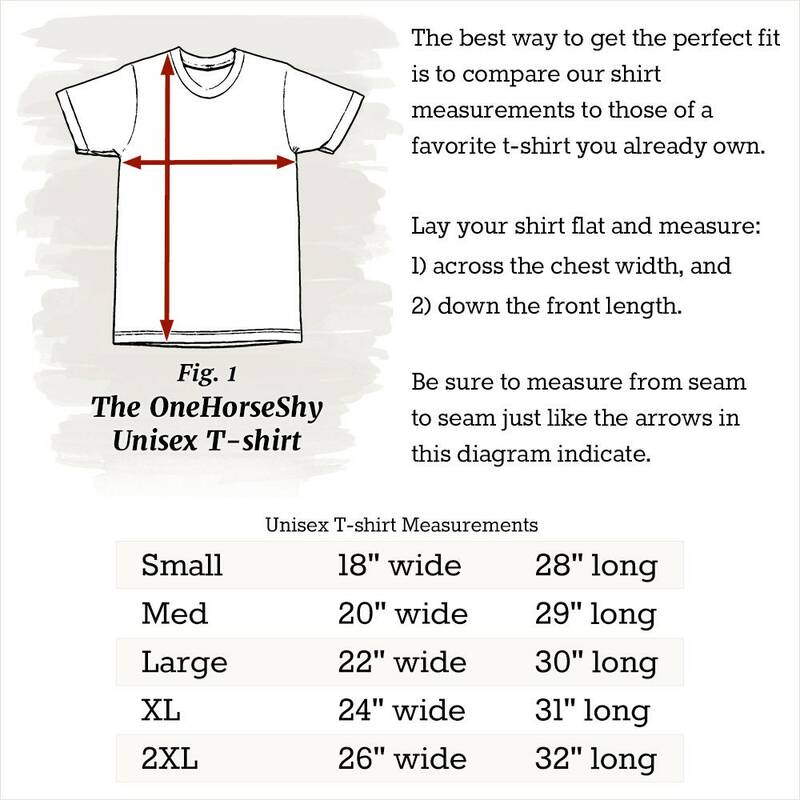 If you prefer the traditional loose fit of standard brands like Hanes or Gildan, please size up. • Super soft, lightweight 4.2 oz fabric is never stiff or bulky. Combed ring-spun cotton is as comfortable as it gets. Solid colors are 100% cotton, heather colors are premium CVC cotton/poly blend. • Environmentally friendly, non-toxic, water-based inks make for a lasting print with a soft feel. • Proudly sweatshop-free, sustainably and ethically made. • T-shirts ship separately from other OneHorseShy merchandise. If you buy apparel & non-apparel together in the same order, you'll receive two packages.